If you can dream it: Durham Designs & Consulting, LLC can deliver! We provide concept to completion and everything in between or after. Whether a room, a cabin, a mansion or a bungalow....we offer all types of services. Need assistance with tile and lighting, brick or drapes, rugs or lamps? We offer all of these services and more! Years of experience means we can cut to the chase and quickly clarify your style, priorities and budget! Give me a call today or send me an email. Booking now for 2019! We build relationships that last for generations. 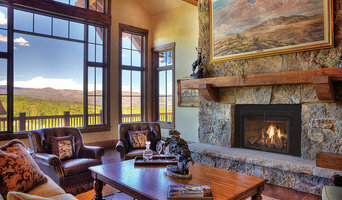 Need a cabin furnished in the mountains or have you purchased a beach home? No problem. We travel and secure the very best products, selections for remodels and new construction. 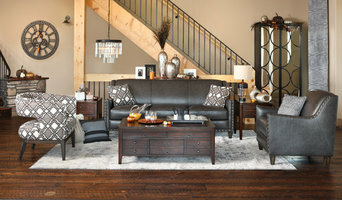 Have a child off to college and need to furnish an apartment? We offer those services as well. Most clients work with me for 30 plus years even when they move all over the US. Working with premium vendors or your vendors of choice enables a fluid transition with space planning, cabinet design, and ultimately furniture, art, draperies, etc. Typical Job Costs: All clients are unique. There is no typical cost. Custom Built Furniture$10,00-$100,000. Custom Window Treatments: $2,500 & Up. Custom Bed Linens Starting at $2500. Full home consultations $250-500.00. Free 30 minute phone consultation for qualification. We procure furnishings for you that work for you. We are not obligated to any store and the world is our oyster. Check out my portfolio and study the diversity of style. These represent rooms, entire home selections, remodels, etc. 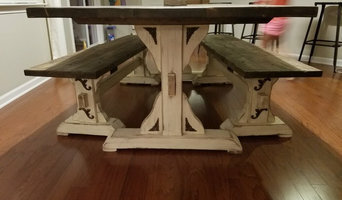 Pepper & Company is a custom table shop located in Charlotte NC. 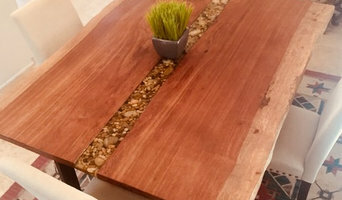 We make solid wood custom dining tables. We have a reputable source of reclaimed lumber. We can build any custom piece, call us to discuss yours. Adding a personal touch to your space is easy with Citified Woods. Operated by a highly skilled woodworker with a passion for his craft, our company offers a fully customizable service for residential and commercial customers alike. Each and every piece is handcrafted in-house to meet client specifications, so you always get exactly what you're looking for. With expert-level knowledge of tried and true techniques, we're able to create durable, eye-catching furnishings that you're sure to love. Our remaining inventory is listed with Etsy: www.etsy.com/shop/WrightTableCompany Please note: we are no longer in production and are selling our remaining inventory. For this reason, along with next to no staff, it may take time for us to get back to you on shipping rates. Inventory show on the Etsy is subject to change. We are thankful for our 44 years, grateful to our employees who have made it possible, and lucky for customers who appreciate our work. As we continue the process of closing, we remind our customers and fans that we have ceased production and are not accepting any custom, casegood, new, or Etsy orders. Plainly, we are closing. Rumblings that we have been purchased, are licensing our name or designs, or are moving our operations are unfounded. We'll be the first to let you all know if that changes. Finally, Don is in fine health, holding forth with advice and opinions from the genius of Mark Twain, the brilliance of Neil deGrasse Tyson to the ineffectiveness of Congress, the merits of plum pudding and the history of art, war and human nature. He'll be the first to let you all know if any of that changes. Located in the historic southend design district since 2002. LaDonna has been a rich source of one-of-a-kind 18th, 19th, Mid-Centruy, and eclectic mix of French, Italian, Scandinavian, and European furniture and accessories, including garden and architectural pieces. LaDonna’s unique flair and uncanny eye for design are perfect for those looking to add elegance and charm to their new or remodeled homes. With the designer expertise, each piece is individually chosen for its distinctiveness, suitability, line, and shape. Through countless hours of scouring antique shows, flea markets, and country sides of Europe and the United States, LaDonna offers clients and exciting, ever-changing selection of found treasures. We build custom upholstered furniture and offer re-upholstery services for the design community.